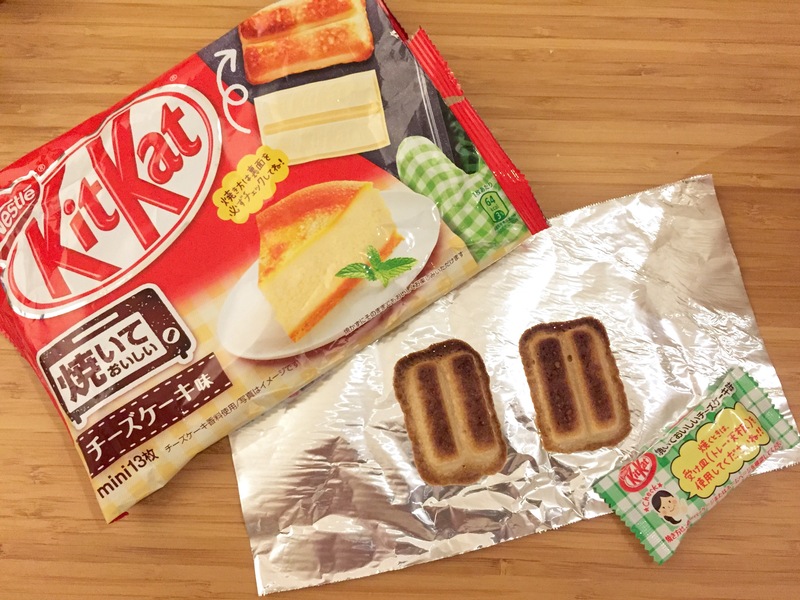 As you probably already know, KitKats in Japan come in a huge variety of flavors, from perennial favorites matcha and sakura to the more exotic ones like chilli. I came across this new one recently and gave it a try: Cheesecake. You can eat it as it is, but they recommend popping it in the toaster for about 2 minutes to make it all fancy. So I did, and the results… well, it turned out okay. The texture was nice, but I found it way too sweet – so much so that I could barely make out the cheese flavor. They probably had to load it up with sugar so it caramelizes easily in the toaster. I think they taste (marginally) better straight out of the pack, but next time I’ll just stick to my trusty dark chocolate KitKats. Nom Or Not: Not. Well, unless you’re a fan of cheese flavored sugar.